(1) Nicholas A. Heras, “In Brief: A Snapshot of Two Rebel Commanders Vying for Survival in Damascus Governorate (Free)” Militant Leadership Monitor ,volume: 7, issue: 12 (11 Jan 2017). https://jamestown.org/brief/brief-snapshot-two-rebel-commanders-vying-survival-damascus-governorate-free/. CNN’s Laura Smith-Spark, for her part, adds that “Turkey’s top electoral board [or YSK] is considering objections Wednesday [, 19 April 2017] to the way the country’s referendum was run, according to Turkey’s semi-official Anadolu news agency . . . A narrow majority of voters in Sunday’s referendum backed the 18-article constitutional reform package, which will transform the country’s parliamentary system into a powerful executive presidency”.ii But, it remains to be seen whether the Prez and his AKP henchmen will pay much heed to the opposition and Sadi Güven‘s YSK . . . After all, the most powerful man in the world has already congratuled him over the phone as well as his best buddies from Hamas and Ahrar al-Sham. And there are those who would argue that the AKP’s long-term strategy goals for Turkey and its environs are remarkably similar to those entertained by Ahrar al-Sham for Syria . . .
i “Turkey’s main opposition party CHP signals consideration of withdrawal from parliament”BirGün (19 April 2017). http://www.birgun.net/haber-detay/turkey-s-main-opposition-party-chp-signals-consideration-of-withdrawal-from-parliament-156139.html. ii Laura Smith-Spark, “Turkey referendum: Electoral body hears objections” CNN (19 April 2017). http://www.cnn.com/2017/04/19/europe/turkey-referendum/. iii “AKP Turkey’s Favourite Terrorists in Syria: Ahrar al-Sham” The Erimtan Angle (12 Feb 2017). https://sitanbul.wordpress.com/2017/02/12/akp-turkeys-favourite-terrorrists-in-syria-ahrar-al-sham/. iv “Islamic world congratulates Turkey – from Hamas to Ahrar al-Sham” KomNews (19 April 2017). https://komnews.org/islamic-world-congratulates-turkey-hamas-ahrar-al-sham/. On 10 January 2017 the Turkish press reported that “Turkey’s parliament [or TBMM] will formally launch debates on a constitutional amendment package that will usher in a powerful presidential system after lawmakers from the ruling Justice and Development Party (AKP) and the Nationalist Movement Party (MHP) passed a motion through parliament. The initial vote in parliament was to decide whether to proceed with a debate on 18 articles of the constitutional amendment package, which was drafted by the AKP and MHP. After lengthy and tense arguments inside and outside parliament, 338 lawmakers voted in favor of the motion while 134 voted against. Two lawmakers abstained and five cast blank votes in a secret ballot. Some 480 lawmakers in the 550-seat parliament were present for the vote. During the vote, Health Minister Recep Akdağ voted in the open in violation of parliamentary bylaws. ‘I’m committing a crime; what’s it to you? Am I going to ask you?’ he is heard saying on a video taken by an opposition MP. During the discussions, PM Binali Yıldırım said the regulations outlined in the offer would solve the problems that Turkey will face in the future . . . Main opposition Republican People’s Party (CHP) lawmaker Deniz Baykal criticized the entire bill, saying the content of the charter was not known well by the public and that the charter gave the impression that it was being prepared in a haste”. “AKP, MHP win 1st vote in debate for presidency” Hürriyet Daily News (10 Jan 2017). http://www.hurriyetdailynews.com/turkish-parliament-approves-launching-of-constitution-talks-by-338-votes.aspx?pageID=238&nID=108344&NewsCatID=338. .
Atatürk Dönemi Daha Yeni Başlıyor?!?? 10 Nısan 2016 tarihinde yayımlanan Hakan Aygün’le Analiz: “Gardrop Atatürkçülüğü”nden kurtulduk, asıl şimdi Atatürk zamanı!”. The Anti-Neocon Ryan Dawson and the erstwhile SyrianPartisanGirl Mimi Al-Laham engage in some mindless banter during a video chat. 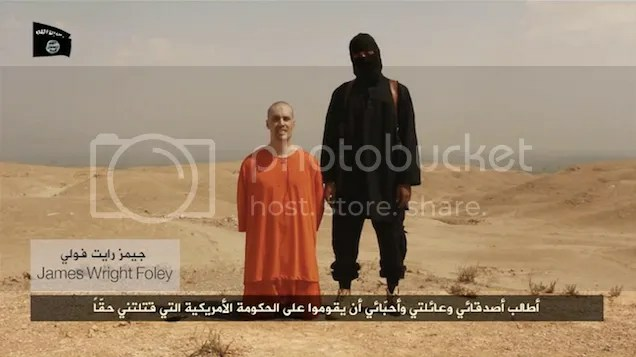 touching upon such frivolous topics as the Islamic State, ISIS and the beheading of American journalist James Foley (21 August 2014).